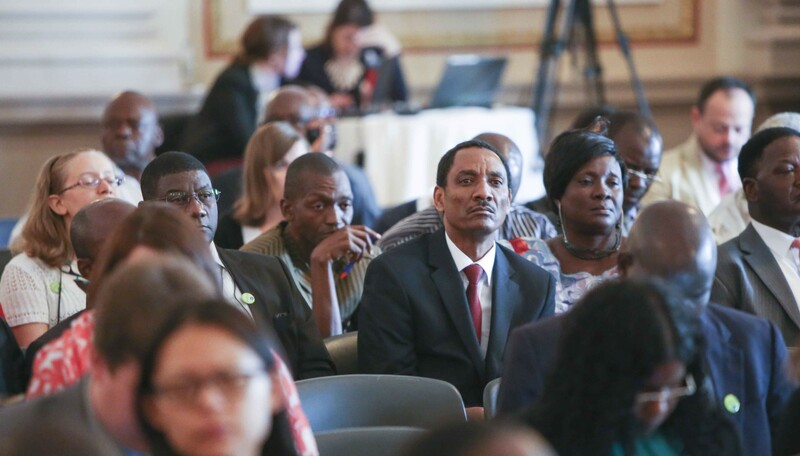 The US-Africa Civil Society Conference convened a dynamic cross-section of African leaders to discuss the challenges to good governance, transparency, and free elections. In 2017, citizens across Africa took to the streets to demand democracy and an end to the corruption, poor governance, and repression that have robbed them of their rights and left them impoverished. Elections in Kenya, South Africa, the Gambia, the Central African Republic, Tanzania, Malawi and Ghana all demanded change. Afrobarometer confirms that a formidable majority of Africans desire democracy and reject authoritarian rule; while advances such as social media and economic reform have increased citizens’ power. Yet ongoing challenges in countries such as South Sudan, Uganda, Rwanda, Burundi, the DRC, Eritrea, Equatorial Guinea, Chad, Niger, and Mozambique remain troubling. Likewise, the fragility of democracy, the threat of poverty, corruption and insecurity, and the enormous task of democratic consolidation has become increasingly apparent in countries such as Nigeria, Cote d’Ivoire, Senegal, and Burkina Faso, as well as Liberia, Kenya, and South Africa. These contending trends, the aspiration for democracy versus its many impediments, characterized the NED program this past year in more than 30 sub-Saharan African countries. NED supported its partners struggling for freedom of expression in Ethiopia; respect for human rights in Sudan; and democratic transition in Zimbabwe. Others helped consolidate a democratic victory in the Gambia, and increase the political participation of women and youth in Nigeria. Citizens of Liberia and Côte d’Ivoire mobilized for peaceful elections. In Rwanda and Uganda, they pressed to expand political space. They confronted corruption in Angola, human rights abuses in Burundi, and conflict in Mali, Somalia, Niger, the Central African Republic and South Sudan. In the Democratic Republic of the Congo, nearly 50 NED civil society partners conducted training and civic education on respect for the constitution and free and fair elections. National Democratic Institute (NDI), International Republican Institute (IRI), Center for International Private Enterprise (CIPE) and the Solidarity Center, along with NED’s local partners all came together to engage with the political process in Kenya, where an independent judiciary mediated contested elections. On a pan-African level, NED supported sub-regional and regional initiatives promoting democratic norms with ECOWAS, SADC, IGAD and the African Union.